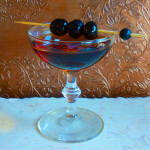 We have two offerings for this Month’s Mixology Monday, “I’ll take Manhattan!” This one, from our fearless MxMo leader, Frederic of the CocktailVirgin blog, challenges us to revisit the classic cocktail. Our first submission is the Manhattan 2.0 – a “Modern” version of the Manhattan with the added nuance of Sherry. 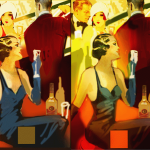 For the second, we jump ahead to an article we are preparing to publish on barrel aging cocktails at home. 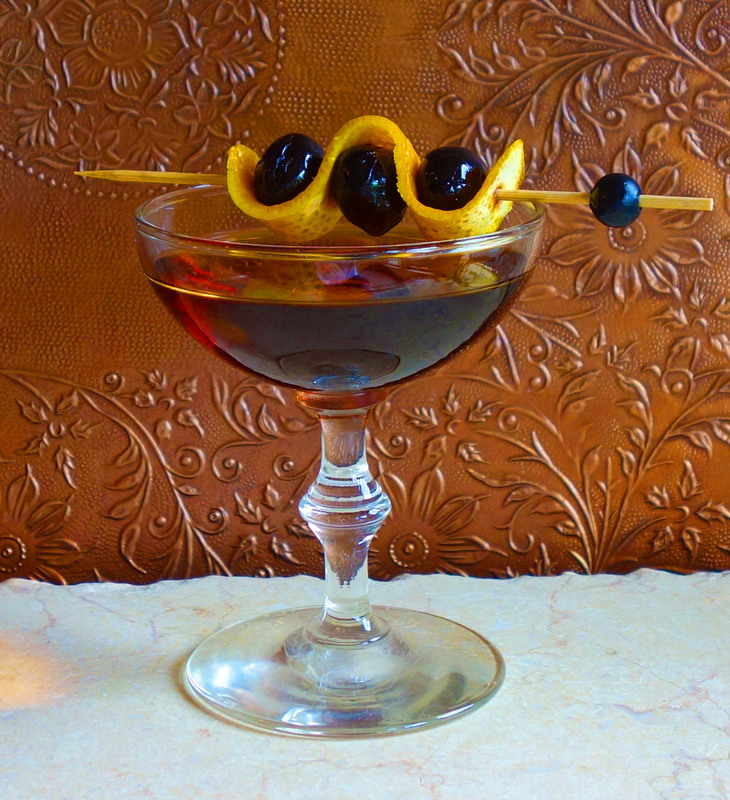 This cocktail comes from our look into barrel aging cocktails at home, which we will publish soon. 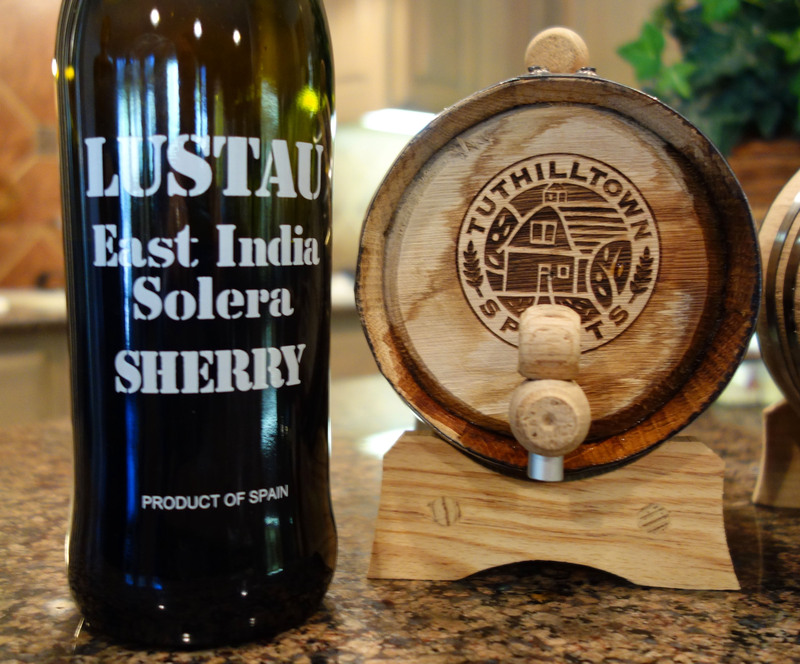 We started with a new charred white oak, 1 liter cask, which was then seasoned by aging Lustau East India Solera Sherry for 4 weeks. 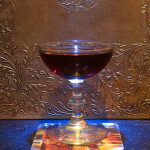 As an aside, the Sherry came out very nice and is great in the Manhattan 2.0! 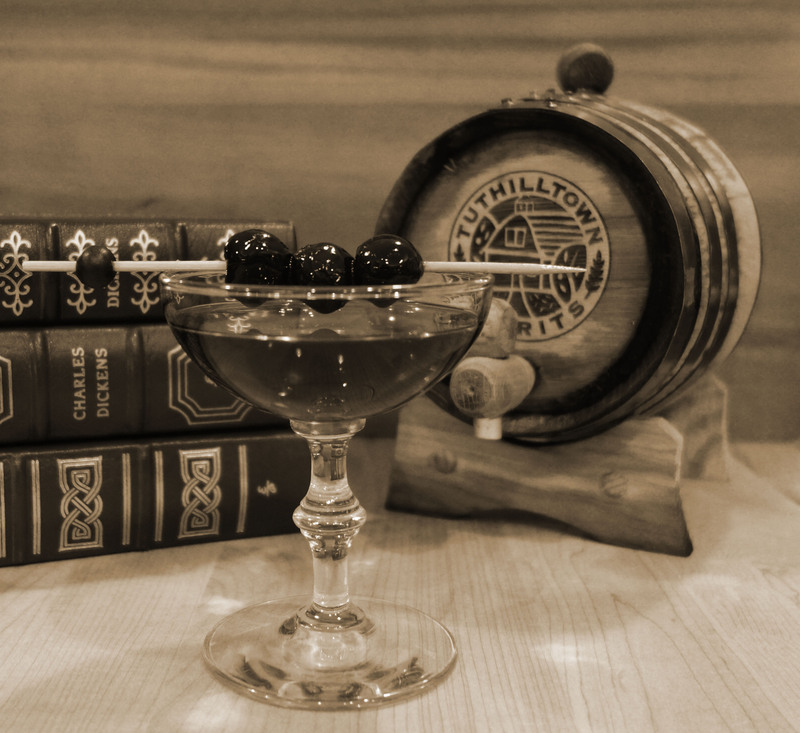 The barrel was then used to age the cocktail. The small cask allows a larger surface to liquid ratio than will a bigger barrel. The larger the barrel, the longer will be the aging time. 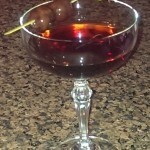 Barrel aging a Manhattan is awesome! The charred oak adds an expected slight oakiness and smoke flavor while the Sherry brings the slightest touch of sweetness. The overall effect is a richness and depth of flavors that are melded together in a way that you’re not going to achieve any other way. Fill the barrel with the Sherry and seal the bung. 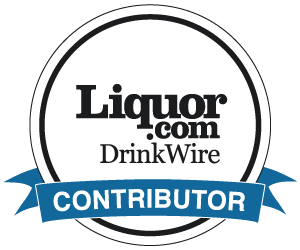 After 4 weeks, drain the sherry through a fine mesh strainer and store, refrigerated, in its original bottle. 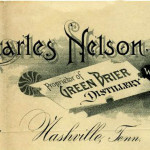 Rinse the barrel and refill immediately with a cocktail – do not allow the barrel to dry out. Set the cocktail filled cask on a plastic lid or other flat, liquid proof surface (the barrel will leak). 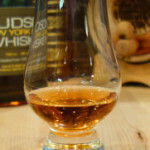 When the cocktail is ready, carefully pour it from the barrel through a fine mesh strainer into a 1 quart pitcher. Store your cocktail at room temperature. Not ready to commit to a barrel? 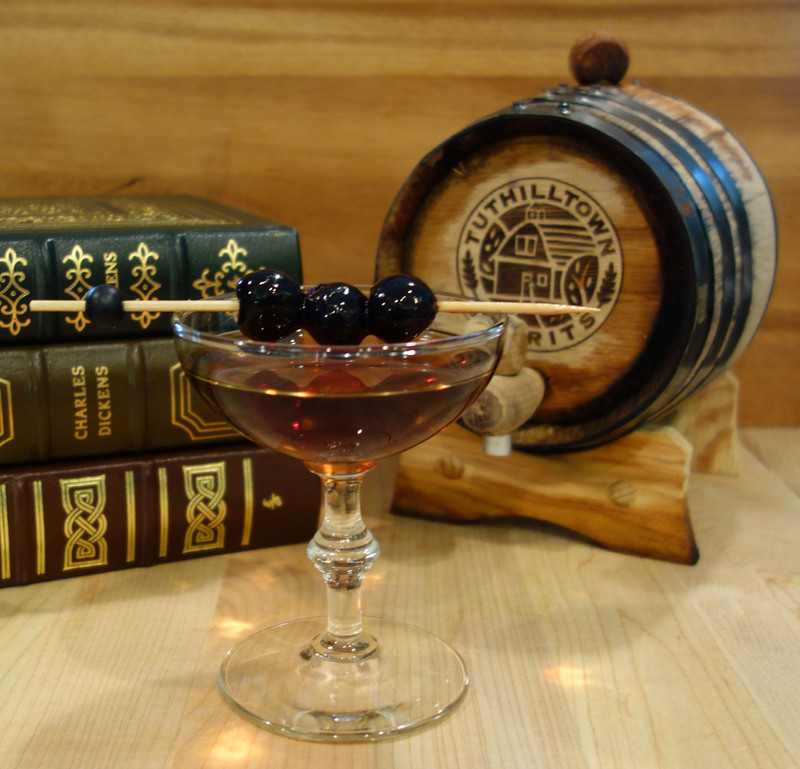 You can approximate the same aged cocktail effect using a small bottle and a charred barrel stave, available here. It will lack the richness and depth of flavor of barrel aging, but it will be close. Adding sherry? Nice! Thanks for both drink submissions this month!